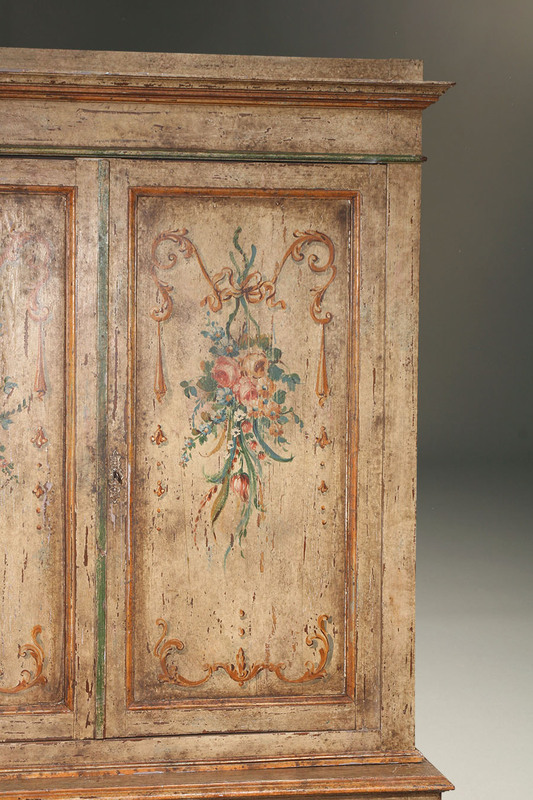 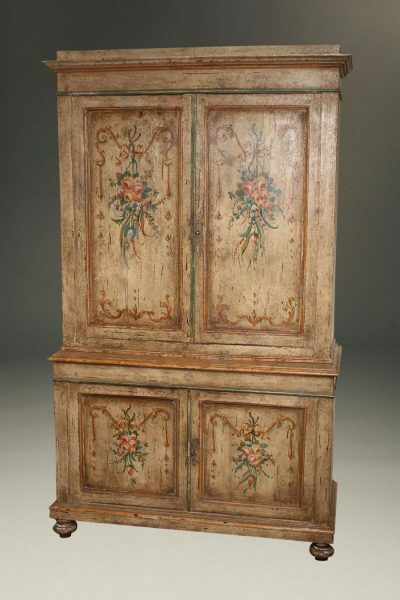 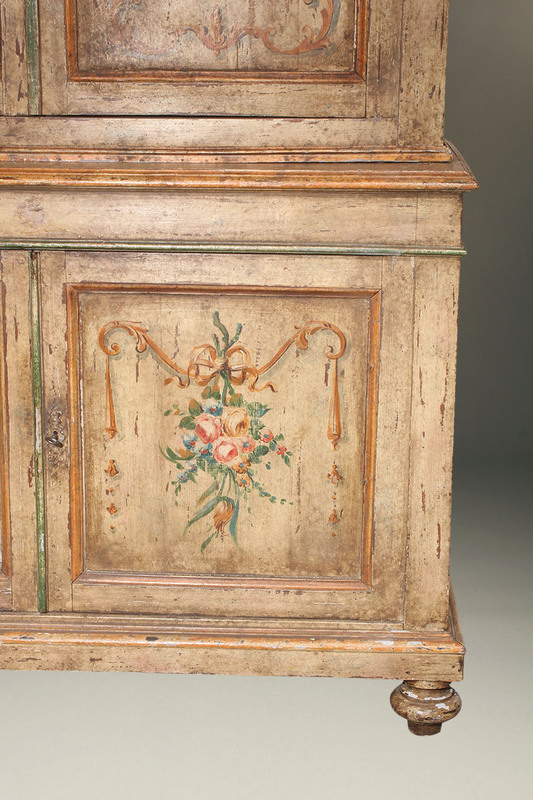 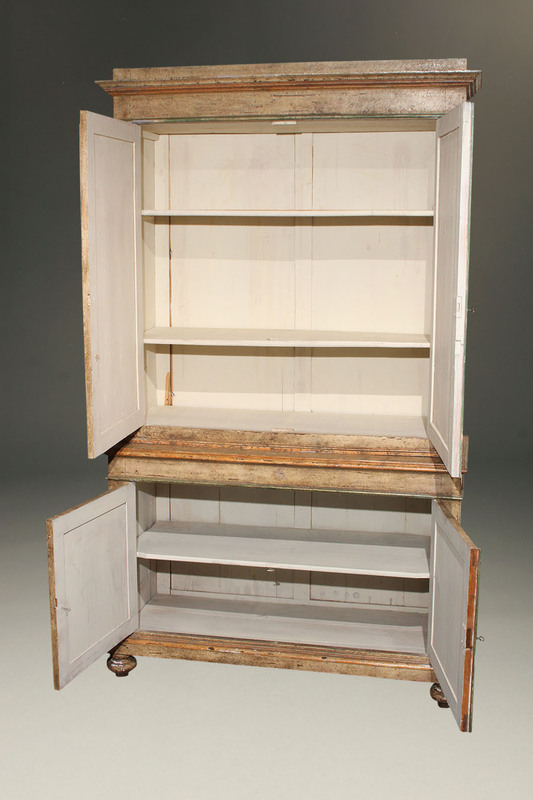 19th century Tuscan cupboard with original polychrome finish. 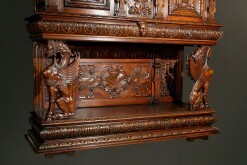 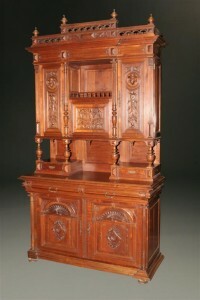 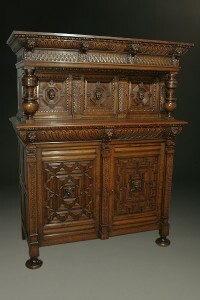 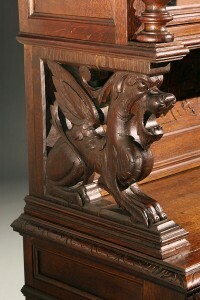 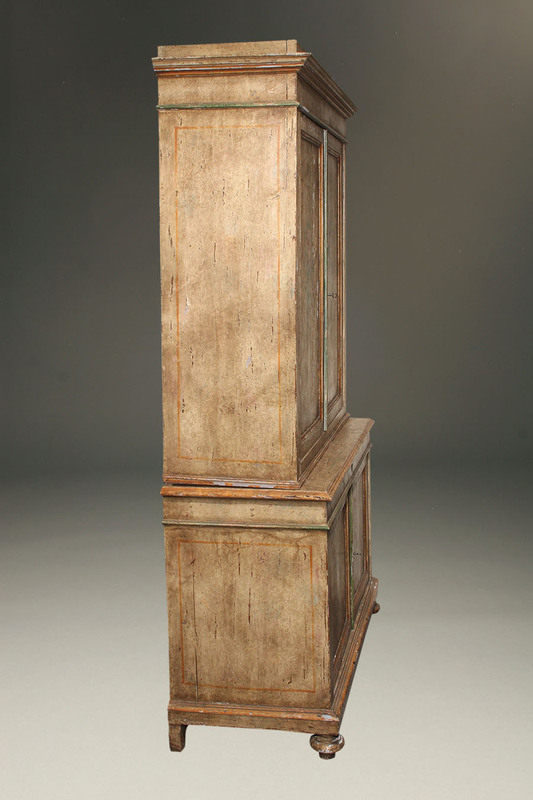 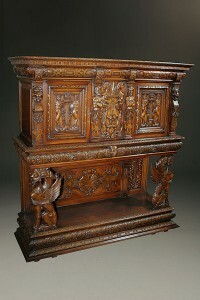 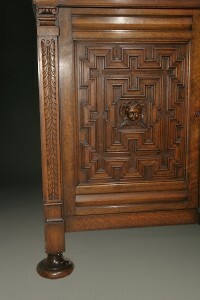 19th century French Baroque court cupboard. 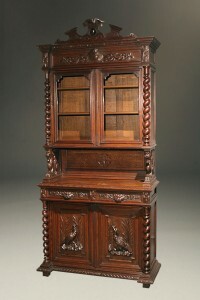 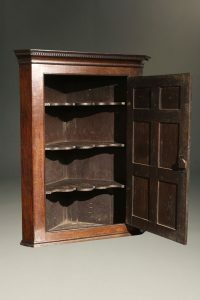 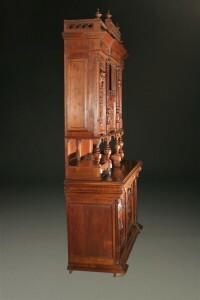 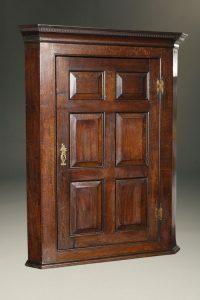 18th century English oak hanging corner cupboard.